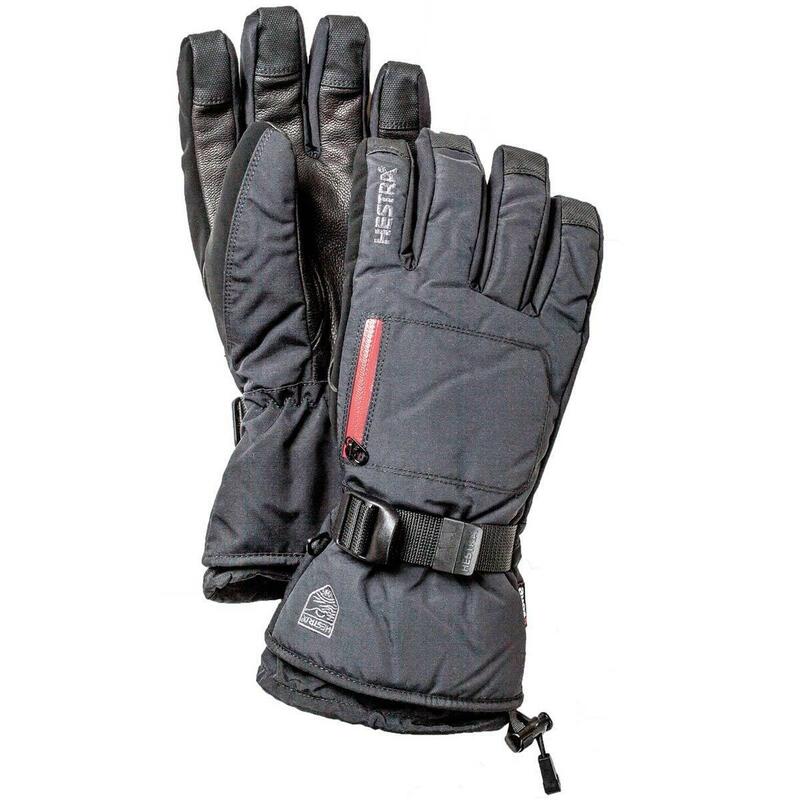 This warm and durable Hestra glove features a long cuff, a waterproof / breathable CZone-membrane, and has iImpregnated goat leather in the palm. OUTER MATERIAL: Upper section made from windproof-, waterproof and breathable HESTRA Proton polyamide fabric. Palm made of impregnated goat leather. + Strap with Velcro closure. My favorite aspect of this glove in the long cuff. The cuff can be tightened around your arm to keep snow out. 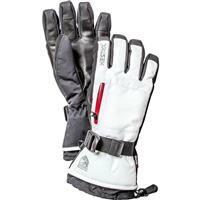 The top zipper pocket of the glove is perfect for storing hand warmers. It is important to take care of the leather and follow the instruction followed by Hestra.